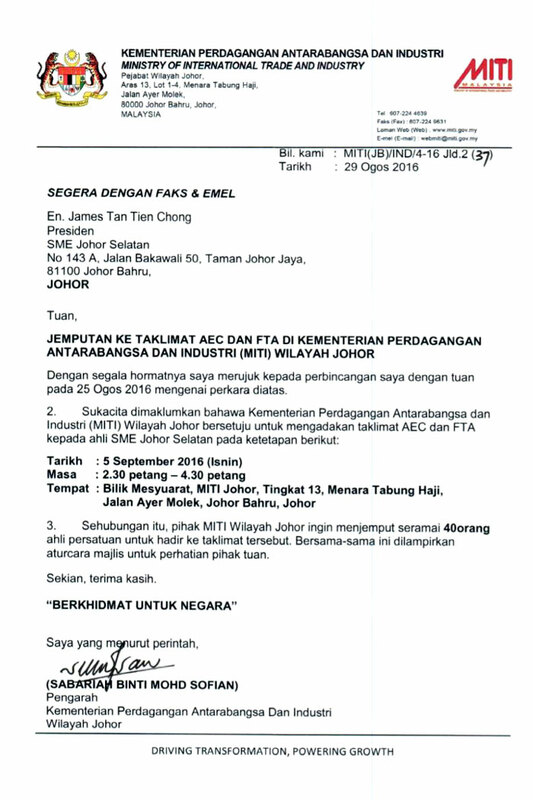 Please be informed that SME Association of South Johor (SMEJS) would like to invite you to participate in the networking with Ministry of International Trade And Industry, Malaysia (MITI) on September 5, 2016 (Monday). The networking is open for public, admission free; Welcome all business community to enthusiastically take part. Seats are limited, pre-registration is required! Please refer to the Letter below which is self-explanatory.